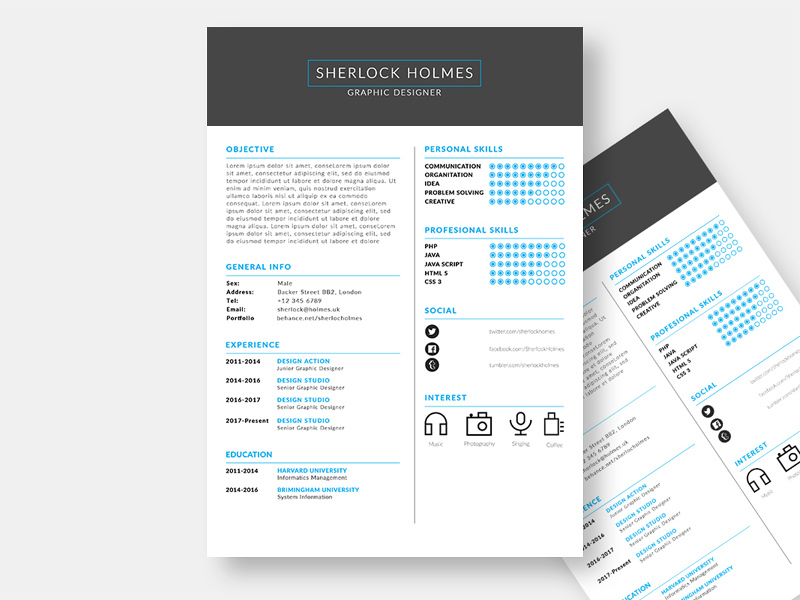 Sherlock Holmes Resume is a free PSD UI.Download MISC. Today we have for you flat UI kit PSD free download. Sherlock Holmes Resume is a free containing different elements for creating website designs. This MISC perfect for . Do not forget to share it to the world, because sharing is caring. Sherlock Holmes resume is suited for graphic designers, developers and many more. With a clean and simple design this resume will be well recieved by the job interviewers. Nice work done by Hamdan Ali M.